DW Energy Group, LLC is a non-operating oil and gas exploration company located in the Dallas, Texas metro area. Since 2008, DW has provided industry-leading oil and gas investment opportunities to qualified investors. DW is an expert at finding, developing, and managing the most lucrative domestic oil and gas investment opportunities for qualified and approved investors. DW’s founders recognized that qualified investors were enthusiastic about incorporating domestic oil and gas production into their portfolios, but were typically not able to access the highest quality drilling and production opportunities. In 2008, DW was founded to bridge this gap between qualified private capital and the most promising investment opportunities in the oil and gas industry. DW is proud to help qualified independent investors achieve their goals of building oil and gas reserves for themselves and their families while simultaneously supporting US energy independence and economic growth. Provide qualified and approved investors with long term monthly income and aggressive tax benefits while supporting U.S. oil and gas independence. We build lifelong relationships with our qualified and approved investing partners. We exceed customer service expectations by obsessing over our clear and consistent communication. Our effort is always consistent, focused, efficient, and effective. Together we are a stronger and more effective organization. Improvement is a constant and never ending process. We are never completely satisfied with our results, which drives us to continually improve. We act with character and always do what is right. Above all else, we are committed to our honest and open business practices. We do what we say we will do, always and without fail. DW Energy Group’s operating and qualified and approved investing partners are supported by a team of talented professionals who believe in an honest, open approach to oil and gas investing. 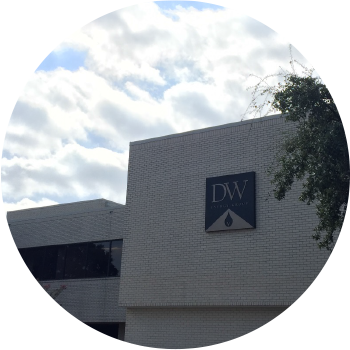 The DW team has over 30 years of experience in generating, distributing, and actively managing oil and gas partnerships. Only approved qualified investors may invest with DW.